The plastic artist Boris Van der Avoort and his brother Aliocha, the composer who created the soundtrack for this film, joined forces with ZOO, the company of the choreographer Thomas Hauert. The result is Space In, a surprising work that uses image to analyse movement. Precisely from this particular interest in movement, the video artist, who had already worked with choreographers like Anne Teresa De Keersmaeker, asked himself how he could approach the structure of choreography and designed an installation based on portraits of dancers. On the basis of a series of drawings borrowed from Thomas Hauert, Boris Van der Avoort sketched a number of big forms. He filmed choreographies for five dancers in a studio, leaving place for incrustation zones where he made a graphical representation of Hauert’s choreographic forms. In an attempt to get out of that striking graphical spiral, he filmed the dancers in profile – walking and doing other movements. Then, the whole was processed with an animation programme, showing the dancers in slow motion. 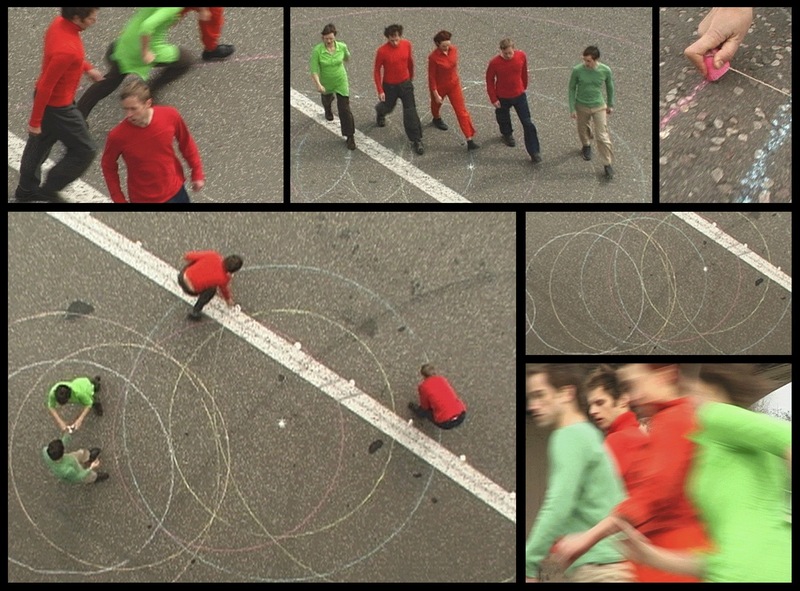 Other images are inspired by urban graphical design, and show the dancers carrying out diverse rotating movements in the middle of a road. Departing from this multitude of visual forms and choreographic structures, Space In draws a dancing course extremely close to the work and the movement themselves.